An annual post done at the end of each season. Here’s 2013’s version. Boston, Philadelphia, and Texas are three obvious teams that badly underperformed their payroll. We’re all well aware of Philadelphia’s problems: too many long term contracts given out to guys in their 30s, locking that franchise into transactional inertia for the past few years. Texas suffered from injury problems that were beyond ridiculous; they ended the season with 10 players on the 60-day D/L, used 15 different starters and no less than *40* pitchers on the year. Fourty different pitchers! Texas started the year with $130M payroll and finished with a worse record than their in-state rivals Houston, who have been *not* trying for years. Arizona is a sneaky under performer, but also merits discussion. 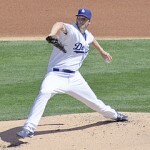 Ownership finally has admitted that the brain trust that has been running players out of town for 50 cents on the dollar for years because of “character” or “make-up” issues has, well, not worked (see Justin Upton, Trevor Bauer most famously, but also see the moves that jettisoned Tyler Skaggs, Ian Kennedy and Brandon McCarthy in the same vein). Gone are former GM Kevin Towers and the on-field managerial staff who has valued “grit” over “capabilities” for years, led by Kirk Gibson. However, now running the show in Arizona is a newbie GM Dave Stewart whose accomplishments during his brief front-office experience in Toronto were not exactly well thought of by his former staff-member Keith Law. Nonetheless; they’ll have the #1 overall pick in 2015 thanks to their ineptitude, and a chance to put some depth into a middling farm system. The three teams who have already replaced their GMs this off season (Colorado, Atlanta, Arizona) all were on the under-performing list. Colorado had the second worst record with a mid-sized payroll but has replaced its odd executive structure from within (which some pundits think will lead to more ineptitude). Arizona’s odd choices are discussed above. Atlanta’s GM switch is surprising to me (as i’ve mentioned before) and seems to be the result of an odd power-struggle going on within the Atlanta executive suite. How do you fire a guy who constructed a team that has gone to the playoffs three out of the last five years on a budget immediately following a season when he lost 3/5ths of his starting rotation to injury before the season began? How about on the “good” side? Three of your four WC teams are among the smallest payrolls in the game. Oakland, Pittsburgh and Kansas City rank 26th, 28th and 20th in 2014 payroll. Also worth mentioning as overachievers are Cleveland (who missed out on the AL wild card by a game), Baltimore (who won 96 games with the 15th ranked payroll) and (of course) Miami (who sported the lowest payroll *by far* but still won 77 games). Miami in particular seems like it is ready for another boom and sell-off cycle; they have a good team without the services of its best pitcher nearly all year; one or two more acquisitions and/or successful call-ups could have Miami competing for a divisional title again, and soon. Washington Nationals: 8th highest payroll, 2nd best record. That’s certainly good news. Our opening day payroll of $133M may have been on the high side to some observers, but the team lived up to its reputation. The Angels bashed their way to the best record in the league on just the 7th highest payroll, ironically, considering the over-spending they’ve been accused of in the past few years. Don’t worry though; the Angels payroll will begin to have its own issues when Trout’s $30M/year contract years hit. $30M a year. 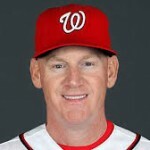 The Nats may be holding steady; LaRoche‘s $12M and Soriano‘s $14M salaries go away, but huge increases to Desmond and Zimmermann‘s salaries in 2015, stepped-up increases for Gonzalez and Span (who I’m assuming we’re going to exercise for 2015), and arbitration cases for a number of key and expensive players (Fister, Strasburg, Ramos, Clippard, Storen) will probably more than make up for the $26M coming off the books. The Phillies, to my constant amusement, already have $127M committed to just nine players for next year. They’ll continue to be a top payroll, bottom performer for at least two more years. The Yankees, who dipped underneath $200M for 2014 thanks to a gift-wrapped Bud Selig suspension for Alex Rodriguez and an equally generous $14M payoff from the cubs to take Alfonso Soriano off their hands, have $161M committed next year for just 10 players, with five of those players each earning north of $20M a year. Wow. Plus, they stand to lose their closer, two of their five SPs (Kuroda and McCarthy), and several position players to either FA or retirement. They could be a train wreck again next year. I’ll file this as one of the “Patently Obvious” responses that have come out of Mike Rizzo‘s mouth in response to a reporter’s question, but Rizzo went “on record” as saying that Taylor Jordan will “get every opportunity to be in the mix for the rotation next year” per beat reports (this example from Byron Kerr) after Jordan got his first major league victory in Sunday 7/28/13’s 14-1 blow-out of the Mets. Well, of course he’ll get a chance to compete for the rotation. He’s pitching a hell of a lot better right now than $13M man Dan Haren, for approximately 1/30th of the cost. What GM doesn’t want that?? 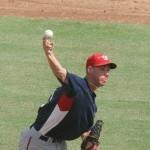 One of the big reasons I started this blog was to talk about the development of Nats minor league pitchers. 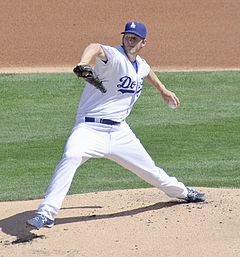 Back in the dark days, when the team was spending $15M on the FA market to acquire 5th starters like Jason Marquis, I became convinced that the single most valuable commodity in Major League Baseball (in terms of talent development and acquisition) was the pre-arbitration starting pitcher. 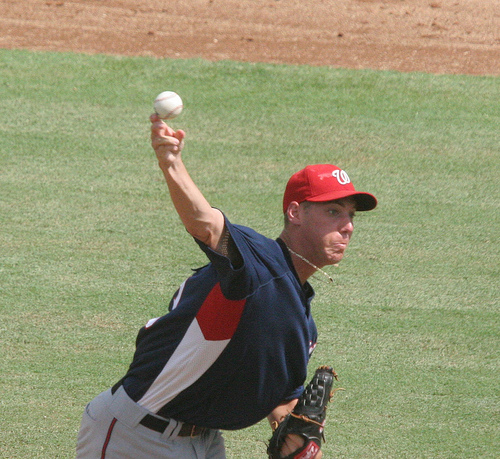 Our farm system had the “Loria/Bowden” holes in terms of player development in the 2007-2009 time frame and for a few years the team couldn’t develop an effective starter, instead relying on guys like Marquis and on other minor league/low-end free agent signings (think Tim Redding, Daniel Cabrera, and the aging Livan Hernandez being examples). Rizzo came in, put the emphasis on drafting and development, and now the opening day rotation features 3 home-grown guys and a fourth in Gio Gonzalez who was acquired by trading other home-grown guys. One of my biggest data-collection projects was the information behind my regular “Pitcher Wins on the Free Agency Market” post. After looking at pretty much every significant FA pitcher signing that baseball has ever had, and calculating salary versus wins, it became clear that teams are historically doing well if they get about one win per $1M spent on a FA pitcher. Sign a guy for $13M a year? You hope to get 13 wins out of him. But this analysis also shows just how valuable the pre-arbitration, cost-controlled starter is. Consider Clay Buchholz for Boston in 2010; he goes 17-7 in his 3rd active year, earning the MLB minimum of $443,000. That 17-win capability eventually earned him a $12-$13M/year contract, but while he was getting the minimum he was winning games for Boston for pennies on the dollar versus what it would have cost Boston to purchase that capability on the open market. Combine this point with the continually dwindling talent available on the FA market these as teams lock up their players earlier and more frequently, and the price for pitching just continues to go higher. Zack Greinke signed a 6 year $147M contract paying him more than $24M annually last summer partly because he was the only significant pitcher out there. Grienke is talented, don’t get me wrong, but outside of his unbelievable 2009 season he’s basically pitched like a #3 starter. Even this year, he’s pitching to a rather pedestrian 103 ERA+, just barely above the league average of adjusted ERA for starters. Not exactly what you expect for that kind of money. 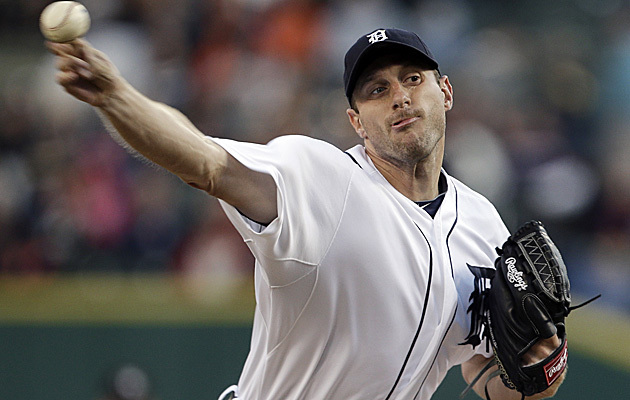 The 2014 Free Agent Market in terms of pitching is looking equally as bare as 2013. The best guy out there may be Matt Garza, who again is talented but is also injury prone and not exactly a league-wide Ace. Get past Garza and you’re looking at inconsistent (Ricky Nolasco or Phil Hughes), injury plagued (Shawn Marcum or Colby Lewis), just old guys (Freddy Garcia, Hiroki Kuroda) and pure wild cards (Tim Lincecum or Scott Kazmir). There’s a reason Tampa went nearly 8 full seasons without having a Free Agent acquisition start a game for them; they know exactly what it means to develop effective starters, and they have a stableful of them. Trade away James Shields and Wade Davis? No problem; just call up Chris Archer and Alex Colome (never mind the rest of their Durham rotation). So, back to Jordan. 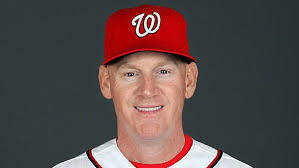 If the Nats can find an effective 4th or 5th starter from their farm system right now, it frees them from the one-year hired gun strategy of Haren and Edwin Jackson. It gives them the flexibility to continue to allow their best prospects in the lower minors to develop (i’m thinking specifically of A.J. Cole, Robbie Ray, Sammy Solis, and Matthew Purke, though Cole and Ray aren’t exactly in the “low” minors anymore with their promotions to AA). It gives them the depth they did not have this year to cover for a starting pitcher injury. It gives them time to let Nathan Karns figure out if he’s going to be a starter or a reliever at the MLB level. It gives them added payroll flexibility can go towards fixing holes in the short term. Longer term it allows the team to spend money on extending the core guys, or allows them to consider whether the rising price tag on someone like Ross Detwiler is worth paying (much like they cut loose John Lannan last year). If you’re going to pay market value for Strasburg and Harper, then you’re going to need some low-cost players who can contribute to counter balance the payroll. Or, and it wouldn’t surprise me to see this either, it gives Rizzo interesting trade chips that he could package with other guys to acquire the Haren/Jackson hurler instead of buying him. Two years ago we acquired Gonzalez for two near-to-the-majors starters, a surplus catcher prospect and a low-minors/high profile arm. Right now it seems like we could put nearly the same package together (Jordan, Karns, Jhonatan Solano or Sandy Leon and then a decent arm from A-ball, or maybe even a Ray or Cole) and move them for such a resource. I wouldn’t put it past Rizzo; Jordan may be looking good right now, but his peripherals don’t project as a “Rizzo Guy.” Neither did Tommy Milone so he got shipped out; will Jordan be a 5th starter candidate in 2014 or trade bait? Personally, I’d like to see Jordan succeed. He’s a great success story; unhearalded 9th rounder coming off an injury that most of us thought was good, but who also thought that finishing the year successfully at high-A would have been a great achievement. Instead he blows through high-A and AA ball and is now more than holding his own in the majors. 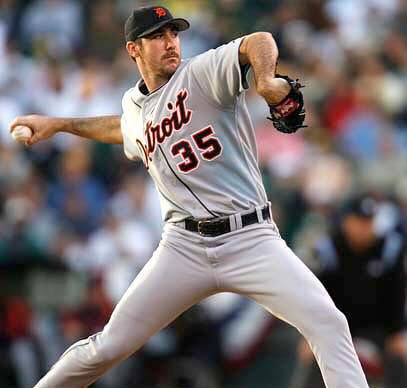 The Tigers have a huge advantage heading into this series by virtue of scheduling; they finished up their ALDS a day early, thus they get to schedule their ace Justin Verlander on normal rest to go in games 3 and 7. Meanwhile the Yankees have a major conundrum; in order to get CC Sabathia two starts in the NLCS he has to go on 3-days rest for game 3. And, in order to get Hiroki Kuroda 2 starts, he must similarly go on 3-days rest for game 2. Kuroda is a japanese import, where he pitched just once a week (6 days rest as a norm) and has little experience going on short rest. Sabathia actually has fantastic career numbers on 3-days rest (a 1.01 ERA for his career in the regular season, albeit in just 4 such starts). 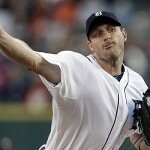 However Sabathia’s effect is likely to be nullified by going against Verlander, in Detroit. Meanwhile, who goes in game 2? David Phelps? Phil Hughes? I don’t think the Yankees have any good options there. I honestly don’t see a single one of these 7 matchups that i’d immediately say favors New York; I think Detroit can get the split in the first two games and may wrap the series up before it even returns. Detroit in 5. The NLCS pitching matchups are a lot more clear; Jaime Garcia is replaced by the 18 game barely-not-a-rookie Lance Lynn and may actually fare better. 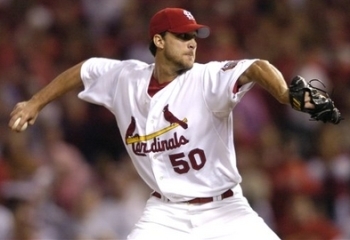 Chris Carpenter was effective enough and I believe gives the Cardinals a distinct advantage in both his starts over the journeyman Ryan Vogelsong. The two aces look to match up in games 3 and 7; I’ll give Cain the advantage at home but if the series makes it to game 7, I’m not so sure he’ll be a distinct favorite back in St. Louis. Lastly, which Tim Lincecum shows up in this series? Going against the 16-3 Kyle Lohse is no small feat; he controlled a better hitting team in the Nats and was an unlucky no-decision in game 4. 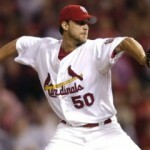 The Cardinals offense can get to the SF starters and very well make this a quicker series than people think. Cardinals in 6 games.